Growing up in Wisconsin, Jenni Radosevich was always creating her own style. 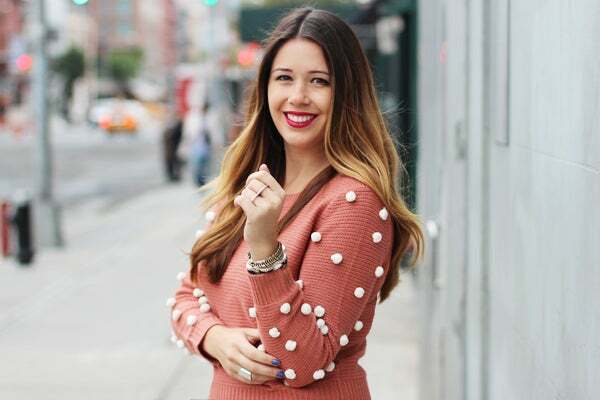 Now, living in New York, her affinity to "spot style you love, and do-it-yourself” has manifested itself into a website, I Spy DIY, and book, I Spy DIY Style. 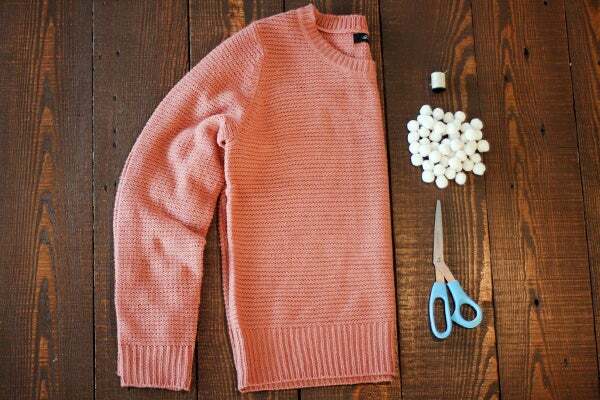 We tapped the DIY darling to help us out with a little sweater-weather project! If you haven't already noticed, 3-D embellishments have been a huge trend this year, as have polka dots...and with a little craftiness to fuel our fashion fire, we couldn't help but mash these two trends together. 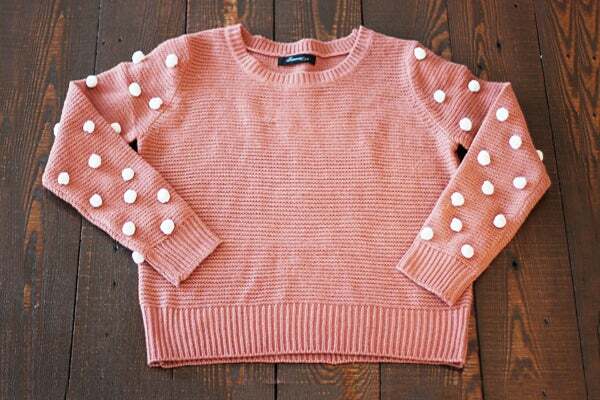 For our 3-D polka dots, we're employing one of our favorite embellishments — pom-poms — to create some softly spotted sleeves. And with only four steps, this might be the easiest DIY we've ever done. The only downside? Beware of rogue petting — you'll have strangers wanting to stroke your arms! 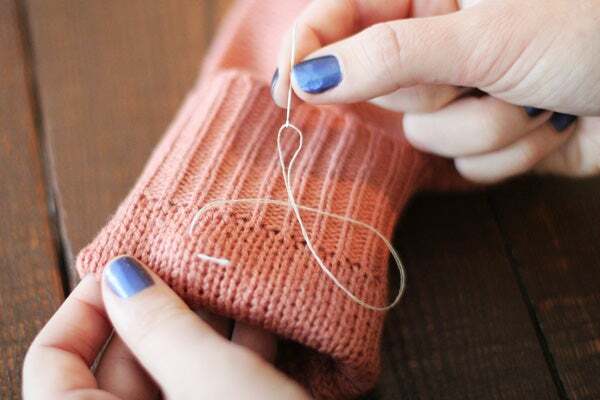 Step 1: Thread your needle, then tie a knot at the end. 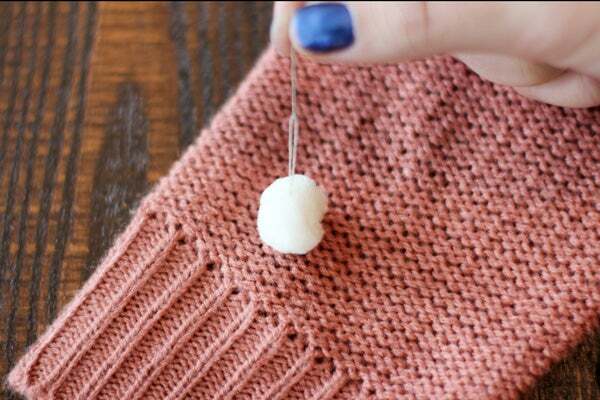 Step 2: Figure out where you want to place your pom-pom by the wrist of the sweater. 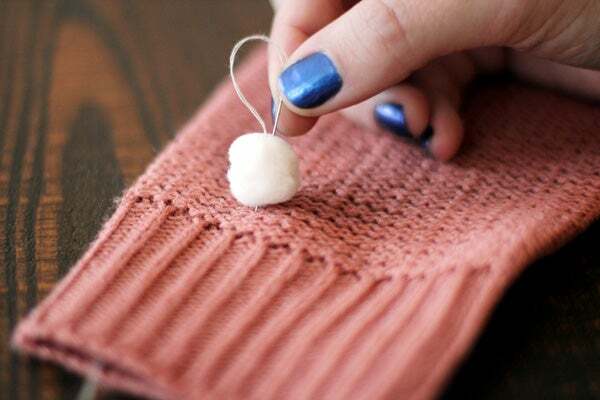 Begin sewing from the top of the pom-pom. ...and up back through again! 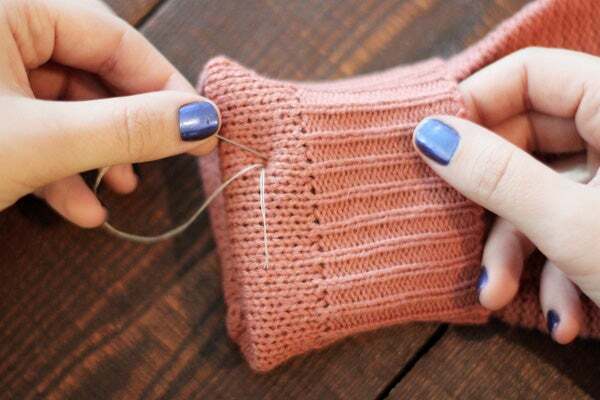 Repeat a couple times to ensure that the pom-pom is on tight. 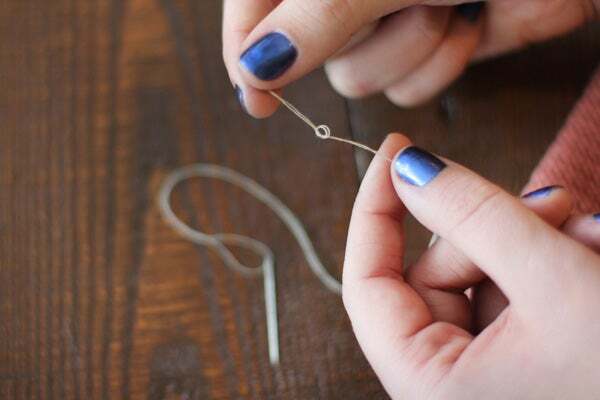 Step 3: Tie off the thread to secure and trim the excess thread. 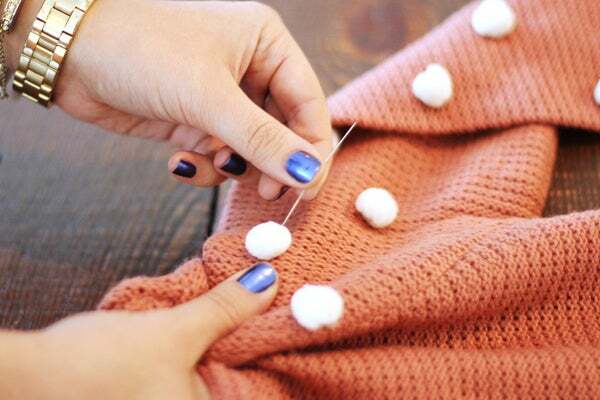 Step 4: Continue to sew on pom-poms in lines along the sleeve. 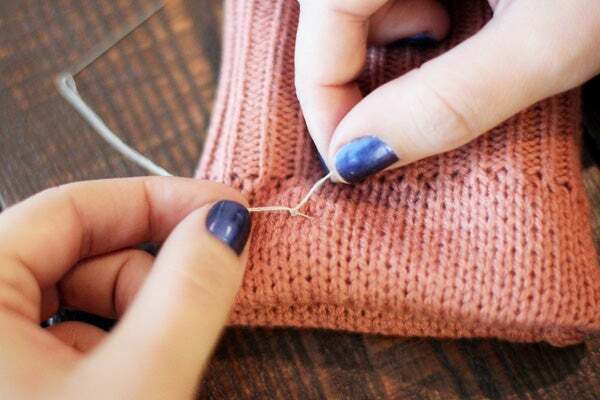 We like the look of sewing in a diamond pattern, but you can go free-form if you'd like! And there you have it. Wear it proudly — no jackets allowed!